And of his fame forgetful! But we must still be seeking? During 1797-98, Coleridge and Wordsworth spent a good deal of time doing just the kind of thing they wrote about in these poems: surrendering themselves to the ‘influxes / Of shapes and sounds and shifting elements’ of the Quantock Hills, in Somerset – placing themselves in the presence of ‘powers / Which of themselves our minds impress’. Reading Coleridge and Wordsworth in my teens, I recognised in them an authoritative utterance, the voice of a tradition, that spoke to my own experiences of a related order – experiences fundamental to my imaginative life, and hence to my own poetic impulse. Going into a wood, spending time by a lake, or walking through country, quietly dislocates the social norms and habituated patterns of urban or suburban domesticity. You don’t necessarily have to go far for this – as Marvell wrote, in that impeccable line, a garden may yield ‘a green thought in a green shade’. It doesn’t require a wilderness for world enough and time to activate the latent senses, and stretch them into a state of wakefulness: watching, listening and alert, open to the constant surprise of other life-forms – a conducive state of mind in which to gather invisibly the matter of a poem. Crucially, the ‘wise passiveness’ Wordsworth describes isn’t entirely passive. It is ‘wise’ rather than random because it involves an active exposure to the influences of things which are not human, but are no less alive. That mingling of presence, in ourselves, of what is human with what is other than human, is the living mystery of our being in the natural world: the conundrum, at the very root of our consciousness, of our connectedness and differentiation at one and the same time. Because its influences are infinitely more various and subtle than we can know analytically, direct experience of nature – the world we have not made – is irreplaceable; its comprehensiveness cannot be artificially reproduced. (The brain can only be tricked by ‘virtual reality’ – how dated that term already appears! – at the expense of authentic experience.) In the metaphysics of presence that I am sketching, to expose the self to the natural world is to invite encounter with the unknown. And it is in these conditions that my own poetic imagination thrives. None of this is to deny the genius loci that the built environment can conjure up, of course – but that encounter with other life-forms, beyond the human, is especially important to me. Given Wordsworth’s observation in the first of his stanzas I quote above, it follows that we should be careful, and sometimes deliberate, about the influences we expose ourselves to – especially writers and artists, who are usually unusually impressionable. It seems so obvious – and yet this is rarely explicitly acknowledged as the key educational principle it is. ‘We can feed this mind of ours’ – and we should take charge, as a matter of course, of what it feeds upon. There is a qualitative difference between the influences to which we might be exposed, or expose ourselves. Taken out of its context in the poem, opening oneself up to ‘things forever speaking’ might presently suggest surrendering the sources of our behaviour to a consumerist delirium led by remote-access media – and let’s face it, we don’t have to look far to see the threat of something like that. But Wordsworth, of course, was writing about the world we have not made – the world of non-human life to which the human belongs, and of which, for all our science, for all its everyday, familiar proximity, we know next to nothing. And that world is the very opposite of remote-access media delirium. It’s a truism that too much time in front of any screen risks rendering mind and body genuinely passive, by subduing (and obscuring) aspects of its own, inner activity. The ‘wise passiveness’ of Wordsworth’s poem – opening the self to the presence of the non-human life with which we share the earth – tends to activate mind and body: to feed, nourish and arouse their powers. For me, that order of wakefulness and alertness is akin to the inward silence in which poems rise, and the real thinking gets done. It is a fusion of excitement and concentration, at once urgent and peculiarly relaxing, where the flow of the mind lifts the pulse and the whole body becomes an organ of intensity. So – and this, really, is my point – that immersive attentiveness to non-human life is analogous to the writing of poems, for me. Composing a poem involves listening with language for what is waking, within us and for us, as something there: invoking unrealised influences and intuitive affinities, giving them sound and shape through the warp and tact of words, achieving the cold fusion of which only the imagination is capable: certitude in mystery – an experiential knowledge, radiant with the enigma of living presence. 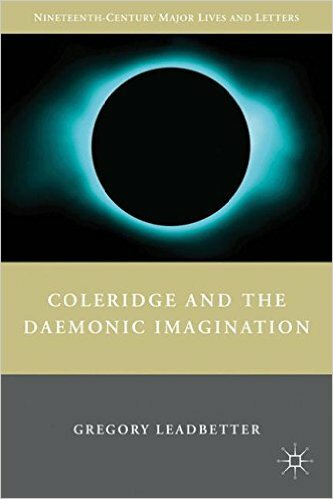 Further to my earlier post about its shortlisting, I'm delighted to say that Coleridge and the Daemonic Imagination has been awarded the CCUE Book Prize 2012 - a prize for the best scholarly book in the field of English studies by an 'early-career' academic. It was lovely to be able to collect the award in person at the Senate House, at the University of London, yesterday. Thank you, CCUE. This week sees the launch of Sally Read's third collection of poems, The Day Hospital. Her poetry is as intimately truthful, arresting and alive as ever. She is also, I'm very happy to say, a Fellow of the Institute of Creative and Critical Writing at Birmingham City University. 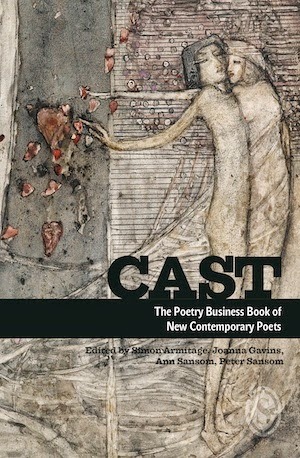 This is a recording of her reading one of the new poems from this collection. Enjoy - but, as Heminge and Condell said of the Shakespeare First Folio - 'what euer you do, Buy'. I'm delighted to say that I've been awarded a Hawthornden Fellowship for 2013. This will give me a month's retreat to focus on nothing but my poems. Invaluable. One of my poems, 'Sea Change', has been awarded third prize in the RSPB/Rialto Nature Poetry Competition. It'll be published, I'm also very happy to say, in the next issue of The Rialto. I'm grateful to the judges, Andrew Motion and Mark Cocker, and to Michael Mackmin of The Rialto. Next week sees the Coleridge Conference (23-27 July) – a biennial, international gathering of over 70 scholars and readers of the works of Samuel Taylor Coleridge (1772-1834) (pictured above in 1799). 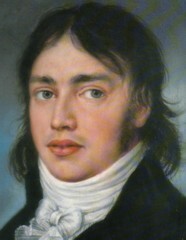 Coleridge’s writings are at the heart of my own research scholarship. This year I have helped to organise the Conference, together with Paul Cheshire, Dr Felicity James, Peter Larkin, and the Conference Director, Professor Tim Fulford. I’m also a Trustee of the Friends of Coleridge – the society that aims to foster interest in the life and works of Coleridge and his circle. I’m sometimes asked: why Coleridge? This seems like a good time to say a little on the subject. As these things often do, it all started in my teens. Although aware of The Rime of the Ancient Mariner before, I only really found my way into Coleridge when studying him for A-Level, when I was seventeen. 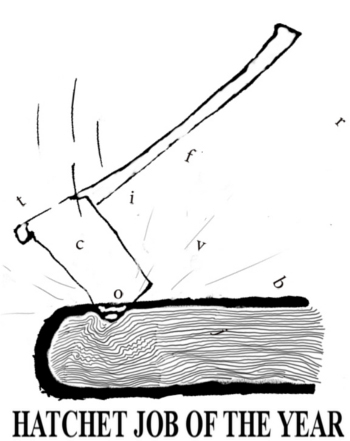 Then something explosive happened – something revolutionary, in personal terms. Reading in particular his mystery poems – Kubla Khan, Christabel and the Ancient Mariner – and the blank-verse meditations often referred to as the conversation poems, something within myself was suddenly articulated and brought into brilliant focus. For a while, it was a little overwhelming. Kubla Khan, especially, blazed across my consciousness (as it still does). I read two of the classic critical works on Coleridge, Coleridge the Visionary (1959), by John Beer, and The Road to Xanadu (1930) by John Livingston Lowes – both of which led me into the maze of Coleridge’s reading and imagining. But it is the title of another of Beer’s books – Coleridge’s Poetic Intelligence (1977) – which sums up what fascinated me: a poetic intelligence, calling potential realities into being. By the time a close friend gave me Early Visions, the first volume of Richard Holmes’ superb biography of Coleridge, for my eighteenth birthday, I was already inwardly committed to the path I’m on today. The chemical reaction begun with that first encounter with Coleridge’s language, and the trace of his being, remains at the glowing core of my interest in him. But of course, time spent with Coleridge brings other pleasures. To study Coleridge’s works is to inhabit an endlessly ramifying intellectual ecosystem – and for me, at least, to become a fellow-adventurer in the biggest questions we can ask: poetical, political, and metaphysical. You don’t always have to agree with him, either, to feel your own powers kindle in the presence of his words. The staging of Poetry Parnassus at the Southbank Centre, and on national tour, has been one of the extraordinary highlights of the 2012 poetry calendar, and Olympic Festival. Poetry in translation is enjoying a true renaissance in Britain, it seems, with the pioneering activities of the Poetry Translation Centre (see my post of 10 May 2012) and Modern Poetry in Translation particularly springing to mind. It’s timely, then, that only last week I had the pleasure of having one of my own poems - 'The Astronaut's Return', published in The Body in the Well - translated by my colleague at Birmingham City University, Dr Ursula Lutzky. Ursula’s home city is Vienna, and she produced a wonderfully sensitive German version, complete with intriguing options as to phrase and nuance, which we then worked on together to bring into as faithful and musically satisfying a poem as possible. It was, for me, as instructive as it was enjoyable – opening up all sorts of hidden passageways in the language of the original English poem, as it morphed into its German double. Here it is, anyway, in both languages. Thank you, Ursula. Sie sieht vertraut aus; ja, sie ist meine Frau. Ihr Haar ist länger; es sind Monate gewesen. Ich denke nicht, dass sie erwartete mich wiederzusehen. und wenn sie spricht, so spricht sie zu einem Kind. wie unabhängig er ist, trotz ihrer selbst. Wenn sie sieht, dass ich sie ansehe, dreht sie sich weg. Wenn ich ihre Haut berühre, zuckt sie zusammen. Die Kleidung, die sie meine nennt, passt nicht mehr. Iss, sagt sie, bitte iss, und ich liebe dich. noch immer weit offen, glitzern wie Topas wenn ich schlafe. She looks familiar; yes, she is my wife. Her hair is longer; it’s been months. I don’t think she expected to see me again. and when she does she’s speaking to a child. how independent it is, in spite of her. When she sees me looking she turns away. When I touch her skin she flinches. The clothes she says are mine no longer fit. Eat, she says, please eat, and I love you. 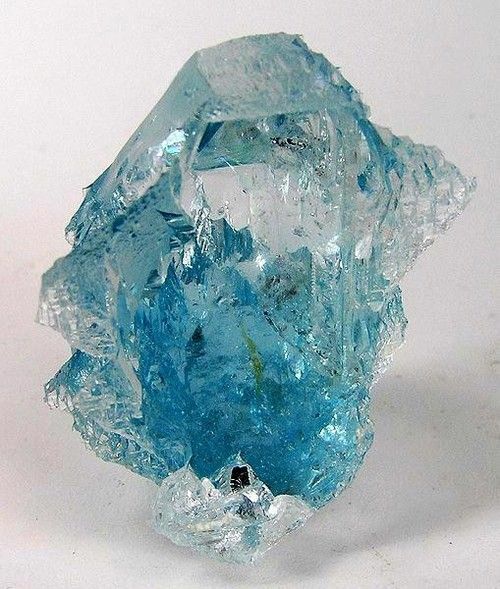 still wide open, sparkle like topaz when I sleep. It was terribly sad to learn from Nell Nelson earlier this month that the poet Tom Duddy﻿ had died. His excellent pamphlet, The Small Hours, was published by HappenStance the year before my own. It was a mark of the man that when I asked him to sign my copy of his pamphlet, back in 2008, he wrote 'Thanks for asking!' at the top of his message. His poems everywhere convey his human intelligence, and I'd recommend them to anyone. HappenStance will be publishing more of his work, I know, and in the meantime, there's his website. He's a poet and a man worth remembering. I post here, in his memory, the opening poem of The Small Hours, which feels apt, and captures something of his signature insight. whose accent and mindset we have to a T.
will have the heart to say how they are, exactly. in the darkness beneath the rollicking table. No – this isn’t an entry about a vampire, a werewolf and aghost trying to cohabit, but a performance of poems, selected from the Bloodaxe anthology Being Human (ed. Neil Astley), which I attended last night. This is not ‘performance poetry’. Instead, a company of three talented actors – Benedict Hastings, Elinor Middleton and Barrett Roberston – realise the selected poems as an integrated piece of theatre. This is a very ambitious and demanding thing for a production to do – but Being Human, produced by Midland Creative Projects, succeeds to vivid effect. The actors avoid smothering the poems with actorishness – always a risk when poetry and acting meet (and I speak as a poet and occasional actor myself). The poems are given space, but they are also (sensitively and without being forced) acted out, as a deftly-handled sequence of dramatic vignettes. It is beautifully put together. Derek Nisbet’s music and sound design was particularly effective, but the unobtrusive and inventive use of visuals and simple props was well-judged throughout – centred around a table, with Edip Cansever’s poem of that name (in translation from the Turkish) serving as something of a motif for the performance. They also got the length right: there isn’t a slack minute in this production, with both halves engaging the audience’s attention without ever exhausting it. The performance stays true to the pervasive feeling of the anthology itself, which achieves the cumulative emotional acuteness it has by placing together lifetime perspectives condensed into poem after poem – a form precise enough to capture irreducible and fugitive truths, in ways concise enough for consciousness to absorb. Most admirably, perhaps, the production manages to become more than the sum of its parts. The chosen poems are given greater resonance here than they might otherwise achieve, through their orchestration in this setting. The experiential analogy between poetry and theatre plays a fairly fundamental role in my thinking as a writer, as this website will no doubt reveal further in due course. So, as a dramatic form that successfully bridges poetry and theatre, work of the kind and quality on show in Being Human is very welcome – and the possibilities are endless. For now, though, go and see Being Human, and see what you think. 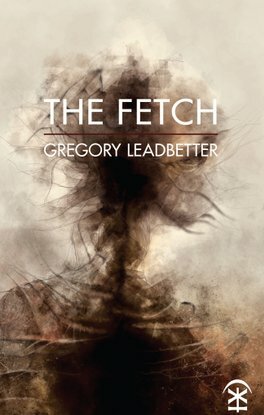 As well as being on at the Belgrade Theatre on 23 June, it will be touring to the Ledbury Poetry Festival (1 July), Bury St Edmunds (9 July), and Birmingham, Durham, Folkestone, London, Ludlow, Swindon and Uppingham in October: see http://livepoetry.org/. How does a poem contain more than one language? It’s a question that fascinates me, and has done for a long time – because it’s to do with the fabric of language itself: how a poem operates both within and beyond the locus of its particular vocabulary (English, Farsi, or whatever it may be). The ‘auditory imagination’ – Eliot’s term for the capacity of poetic language to bend biological time, and fold together the most primordial and the most evolved elements of our being – unites the human species across its cultures, too: not only reaching back to our origins, but to the other possibilities latent in our own tongue. In the poems I write, I actively court the sense that words in English are brushing up against – or even generating – another, unknown language, at once inherent within and completely alien to my own. In exposing the audience to the frequencies of verse drawn from experiences distant from those of most Britons, the readings last night also galvanised a sense of what is at stake in the work of all three poets: utterance as the mark of survival, and how poetry’s rare sensitivity, articulate complexity – and its very vulnerability – are the foundations of its resilience. The imaginative access that authentic poetry embodies is anathema to tyranny and censorship: as the unique signature of individual experience, it is also the signature of political and intellectual freedom. Anglophone culture has become somewhat accustomed to living with the lazy notion of the ‘language barrier’ as an insuperable divide, because there is presently so little general pressure on its constituents to learn other languages. But events like last night’s reading of Persian poetry suggest that the language barrier need not be a political barrier (and vice versa). On the contrary: it becomes apparent that such barriers are illusory. Hearing the poetry of another language opens a channel to your own. For me, hearing Farsi and Dari poetry brought home once again the overwhelming importance of the vowel, as the breath of a poem, that makes its body flex and stir: just as in English. You can hear the musical resources of your own language – its possibilities – all the more vividly for hearing poetry at work in another language. It flips the more familiar levels of our receptivity to language, and reveals something universal, playing upon the fact that our bodies are, through and through, organs of communication – and the way any voice reaches beyond the individual, seeking, as if with a life of its own, to form a new bond in another body and mind. Adding a blogospheric comment to a piece by Jon Stone on Fuselit the other day, I made a point that I want to follow up on here. Jon was responding to WilliamWootten’s stimulating article in the TLS, in which Wootten (wrongly, I think) equated Roddy Lumsden’s editorial imperative in Identity Parade – ‘to spread the word, to educate and recommend’ – with ‘undifferentiated plurality’, a term that implies an absolute relativism, unwilling to discriminate on the basis of quality. Wootten is about to publish a book on the poets who came to prominence with the publication of Penguin’s The New Poetry in 1962, edited by Al Alvarez, and he praises a willingness on the part of Alvarez – and Ian Hamilton’s Review – to take strong, contentious positions (for or against) on the poetry they encountered. Now, I’m all for discrimination. Sadly, the word has become associated in liberal-minded discourse with its undesirable manifestations, in matters of race and gender in particular. But the fact that right-thinking people oppose discrimination on the basis of race and gender is itself an act of discrimination. Discrimination itself should not be a dirty word: any and every judgment of value and morality depends upon its activity. As recent neuroscience has found, the brain itself is essentially an organ of discrimination: an infinitely complex apparatus through which we might just about negotiate our presence within the infinitely complicated data of the universe. ‘To be discriminating’ is to exercise a considered and attentive taste. And so on. Every poet discriminates: it’s self-evidently fundamental to the art. So it is – necessarily – with every poetry editor involved in any kind of selective process. Hence the very notion of ‘undifferentiated plurality’ prevailing in matters of poetry is nigh-on absurd – and no one could fairly accuse Roddy Lumsden of being undiscriminating. Like many experienced teachers of poetry, he’s amenable to many techniques – but he knows what he likes as much as the next poet. And if I was in a quiz on contemporary Anglophone poetry and poets (in fact, pretty much any quiz, actually) I’d want him in my team. That aside, I like what excites Wootten about the Sixties poetry scene, in which the Penguin anthology and Modern Poets series played a galvanizing part: ‘a moment when contemporary poetry and its values were treated as a singular artistic arena whose various styles and champions could be debated, intelligently and passionately if not always in ways capable of clear resolution’. Are we missing something now, on the Alvarez/Hamilton/Davie/Penguin Modern Poets model? A more active discourse of articulate discrimination? Yes and no. I’d like to see more high-level journalism – let’s say essays, and review essays – devoted to poetry in prominent titles, yes. And as I commented on the Fuselit piece, there should be room there for essayists and journalists to openly champion the work of contemporary writers they appreciate. We have excellent poetry journals, yes – but with a smaller readership to keep, these are often under pressure to be representative and inclusive, rather than contentious; a big readership gives a certain licence, as well as reach. On the other hand, the debate is now less dependent on the kind of vehicles Wootten singles out. It’s now a given that the dynamics of the internet have opened up an ever-growing number of new opportunities to articulate why and how poetry deserves a reader’s attention. That shouldn’t be a problem in itself. As ever: it’s content that matters. Wootten’s worry that ‘an excess of supply – of creative writing courses, career posts, poetry volumes and prizes and competent but unexceptional poets – rather than a surge in demand’ lies behind what Lumsden calls the ‘Pluralist Now’, might equally be transposed and applied to the web. On the whole, I consider the internet a good thing. Besides, the so-called law of supply and demand is at best a half-truth. In Aldous Huxley’s wise correction of the familiar phrase: invention is the mother of necessity. I will be speaking, together with Stephanie Norgate, at this event next Tuesday, where I'll be discussing the culture of creative writing within universities, and its impact on the wider culture - in particular on poetry, poets, universities themselves, and what its rise might suggest about the unspoken needs and latent energies of contemporary society. I'm looking forward to it. All are welcome. More details about the event, and the seminar series of which it forms a part, are available from the Institute of English Studies and the Open University. I’ve had a few conversations recently about writing reviews – something that I do fairly regularly and, truth be told, rather enjoy. It can be tricky territory, for all the obvious reasons; one author I know stopped doing them because he kept bumping into writers whose work he’d been (shall we say) frank about. On the other hand, there’s the danger of too cosy a job. So what’s the conscientious reviewer to do? Having these conversations recently, I found myself returning to one key idea: that the best reviews criticise on principle. (By ‘criticise’, I mean act as a critic – which might, of course, include praise.) This has the advantage of maximising the general interest and value of a review, by engaging in discussion of something greater than any one individual work – and thereby (hopefully) avoiding a limited ad hominem perspective. What, then, does it mean to criticise ‘on principle’? As well as paying close attention to the detail of the work in question, I suppose that it means judging by reference to its wider implications. What does it add (or do) to the culture – and how? What does the pleasure (or displeasure) it provides say about the human mind? And – without getting too Kantian – what can we infer about the character and potential of all such works? 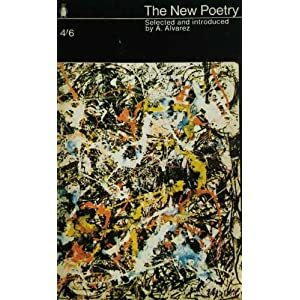 I.e., what does this book of poetry do for (or to) the idea of poetry in general? This method considers the general (even the universal) in the particular – and the particular in the general. It gives the writer some credit. And it means the review stands a better chance of being worth reading in its own right, too, because it becomes a place where principles – whole matrices of ideas applicable in any number of ways – might be found and articulated. Furthermore, such a method keeps the critic’s mind focused on quality – not in a static or dogmatic sense, but the infinite ways in which a work might achieve value and authority. And hence – ideally – both the poet and the critic end up looking for the same thing. Last Friday night I had the pleasure of attending an evening of poetry that will stay with me: a celebration of the life and work of the Croatian-born, Birmingham-based poet Milorad Krystanovich, who died last autumn aged 61. Though I knew some of his work – initially from The Yasen Tree (Heaventree Press, 2007) – I never knew him personally, but many poets, editors and friends that did know him read from his poems, which also served as the launch of his fine posthumous collection, Moses’ Footprints, published by the excellent Nine Arches Press (who organised the event). As Jane Commane (of Nine Arches) said, it had the feel of something special. The room at the Moseley Exchange in Birmingham was full, and there was a pervasive feeling among those there of having been touched, both through poetry and in person, by an extraordinary human being. As George Ttoouli observed, Krystanovich appeared to embody a kind of fantasy ideal of the poet – someone who had truly made poetry his way of life. This is all the more remarkable, given that when he first came to Birmingham as a refugee in 1992, he had little English. Within a couple of years, however, he was writing poems in his second language with the long-established Birmingham poetry group, Cannon Poets, and went on to become a founder member of Writers Without Borders. One of the most interesting ideas to surface, among the readers’ memories of him, was Jon Morley’s account of Krystanovich’s views on the politics of Eastern European poetry – particularly the celebration (common enough in Britain since the 1960s) of the understatedness of much work from that quarter as a kind of magisterial minimalism. For Krystanovich, this simply wasn’t the case; rather, that very minimalism marked the sad, insidious effects of state suppression upon language itself. The freedom of poetry – its capacity to stake the claims of individual truths, you might say – had been squeezed out of it. Instead of this, without being loose with words, or sentimentalist – in work ‘that combines deep melancholy with a hard-won sense of joy’, as Luke Kennard has put it – Krystanovich craved a more direct relationship to human emotion, and the more emancipated politics it implies. This put me in mind of something Novalis wrote: ‘The world must be romanticised’ – where ‘to romanticise’ means ‘to potentialise qualitatively’; ‘to give the dignity of the unknown to the familiar’. To re-articulate the world through words – to re-enchant it – is to re-make that world, and that will always be a threat to totalitarianism of all kinds, whether statist, theocratic, or plutocratic. The daring of that ambition – to disturb, renew and yield afresh – is one of poetry’s most serious and exhilarating powers. Revolutions don’t necessarily have to smash windows, burn cars, or set up barricades. They are happening, latent and waiting to happen, in the very activity of the mind – and in the well-placed word. The phrase in the title to this entry is from Krystanovich’s ‘Lilac Tree Growing in Me’, and seems to me a case in point: its language quietly dilates the consciousness through the gap between what is seen and heard. On my way home, a fox emerged from a wooded footpath directly across the road from me. I stopped. It stopped. We eyed each other. Then, warily but untroubled, it loped across the road just to one side of me, and carried on to its next encounter in the edge-of-country darkness. I tried not to read too much into it. But maybe I shouldn’t have worried about that. Not very long ago, I went with some friends to Peter Burke’s new exhibition of sculpture, Earthworks, at the Victoria Art Gallery, Bath. I didn't know much of Burke's work previously - though what I had seen I'd liked. Earthworks delves into the soil to bring the visitor closer to their own clay, confronting them with a range of unsettling forms and figures – heads, faces, hands, feet, backs, and torsos – hand crafted in bonded earths, all drawn from land within a twenty mile radius of the city of Bath. ‘Of Landscape’, a series of steel-framed faces that blurs the delicate boundary between the death and the life mask (see the example in the picture above), beautifully reveals the diversity of colour and texture under our feet – the smooth warmth of Sandridge soil vying with the fibrous matter of Wansdyke and the bone-white chill of Westbury chalk. In fact, the works in chalk, each with their unique filigree fault-lines, are among the most successful and suggestive of the exhibition. An untitled piece, comprising over a square metre of bonded chalk, with a displaced chalk face-mask boxed into its depth, put me in mind of brain matter – the figure of a thought waking in some earth-bound sleep. There are shades of Rodin’s ‘Thinker’ everywhere – but, as in the piece ‘Of the Hills’, consisting of a chalk head, cracked, split and incomplete over a steel frame, Burke’s sculptures imply a more disturbed state of mind, that often belies the look of calm on their many faces. If his materials imply the fragility of the human forms into which they are moulded, however, they also touch on their metaphysical resonance: one piece, called ‘Ritual’, is formed of two dozen feet, formed of bonded chalk, walking, as it were, in a circle that leads out from the gallery wall and back into it. That sense of the ritual significance of our relationship with the earth - something close to my own work in poetry - pervades the exhibition. Although the exhibition has now finished, it's well worth having a look at Burke's webpages, via the link embedded in his name, above. The only clues to the skyline, as I look out of my window just now, are the tracers of distant street-lamps; the rest is darkness, and the glass-ghost of my own reflection, peering back at me. 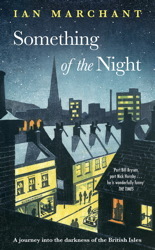 I’ve just finished reading Something of the Night, by my colleague at Birmingham City University, Ian Marchant. Part memoir, part exploration of life after dark in Britain and Ireland, the book is a night-scope through which the author’s own richly populated history comes into view. Framed by the story of an all-night session in the wilds of West Cork, it’s stowed full of companionable and often hilarious anecdote, and this in itself is a good enough reason to buy and enjoy it. I could happily linger here on the true comic touch that buoys the narrative from start to finish. But in the end, the book doesn’t let its readers quite settle in that way. There’s a metaphorical force at work throughout its night-wandering, and a confessionalism rooted in the Protestant tradition of personal reckoning – complete with a between-the-lines redemptive structure. There’s something at stake in the humour here: a knowledge that comes from having come through. And as the book goes on, one realises that it has been haunted by something from the beginning: death. I think it was Saul Bellow who wrote that death is the dark backing that a mirror needs if we are to see anything. By the end of Something of the Night, death has indeed become a medium of vision. But before anybody gets the jitters, let me say too that Something of the Night is also a joyful portrait of a certain kind of omnivorous intelligence – alive with Marchant’s inclusive interests and humanity. Like Thomas De Quincey in Confessions of an English Opium-Eater, he could fairly claim Terence’s dictum, humani nihil a me alienum – ‘nothing human is alien to me’ – as his motto (and more truly than De Quincey, perhaps). Like De Quincey, Marchant is a philosophic life-writer – in whose work the experience of transgression mixes with that of wonder and laughter. Something of the Night also has its poetry fix: it is set off with a line from George Herbert, and Catherine Smith’s fine poem ‘Night’ (with Catherine herself featuring in the episode on Lewes Bonfire) – and Larkin is never too far away, beckoning from the shadows. It’s a treat of a book. I’ve identified myself on this blog as a ‘writer and academic’. Besides writing poetry, script and other works, I’m a teacher of creative writing and English literature. I have a research specialism in English Romanticism, and the intellectual, political and spiritual traditions in which that literature participates. Particular interests here include literary mythopoesis; the evolution of spirituality; mythological and religious syncretism; literary esotericism and occultism; antiquarianism, archaeology and folklore; the history of science; ecology; and the relationship between literary culture and the social and political constitution. Nothing wrong with that, you might think – and to my mind, you’d be right. But for some writers, there is a tension and even antipathy between the creative mind (as they conceive it) and the image of an academic. There are some understandable concerns, of course – over institutionalisation, for example, or being pigeonholed, or how much time non-writerly duties might take up – but all of these would apply with any form of employment. Beyond these, and more seriously even, there is a worry that the academy simply speaks another language – one potentially damaging to the writer. Something like this troubled Ted Hughes; he went so far as to link his own essays in prose criticism to the collapse of his health. His letters, however, show that he didn’t consider this a necessarily universal principle: he praises Marina Warner for being able to produce highly imaginative writing and sophisticated criticism without the one crucifying the other. Academics, too, can be frosty about the intellectual authority of creative writers – particularly in the university system. Maybe some writers have themselves to blame for provoking that kind of response; I’ve heard of a few such cases, though never encountered it first hand. But such hostility from academics can also suggest a failure to appreciate that imaginative writing is intellectual exploration by means of embodiment – that is, experiential immersion – rather than argument; through ‘the blood & vital juices of our minds’, as Wordsworth has it, rather than reasoning alone. In my position, these issues remain live. But although I bear Hughes’s warning in mind (which in turn echoes Robert Graves) about staying true to whatever my calling is, poetry doesn’t so readily separate from criticism, for me. The role of poet-critic is not a new one, after all – and you don’t have to look far to find contemporary examples. Take Michael Donaghy, for instance: besides his poetry, the posthumous collection of his prose in The Shape of the Dance opens a channel to the critical thinking of one of the most skilled and influential of recent poets. In a fundamental sense, all writers have to be critics, insofar as they are readers interested in the making of language, and what language makes – with the need to articulate that process (however indirectly) for themselves. Samuel Taylor Coleridge is one of the great poet-critics – and human enough to have his doubts about the effects of such a mix: at one point he worried that poetry and philosophy might cancel each other out, and leave him an ‘inert mass’. Writing a doctoral thesis on Coleridge, with his fears of this kind right in front of me, it crossed my mind that I, too, was taking a risk. But I soon realised that for me, writing the thesis and writing poems were intimately and inextricably connected, and shared a common root and impulse. Studying Coleridge for A-Level, aged 17-18, woke me up to what poetry could be with a wave of exultation: concentrating my reading, my sense of identity, and my desire to create in ways that I still find startling. When I came to write my thesis, twelve years later, it was as much an attempt to understand and articulate that lasting excitement, as much as anything else. Having things to say about Coleridge that I felt on my nerves as well as my mind, fuelled a desire to intervene in the vast conversation prompted by his works – whether scholarly or otherwise. 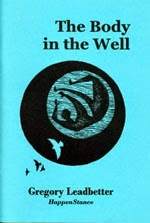 In the early years of my doctorate, The Body in the Well was published, and I worked as a scriptwriter for the BBC. There was, to my relief, no cancelling out. There’s no doubt that in the later stages of the thesis, and its transformation into Coleridge and the Daemonic Imagination, I wrote more about poetry than poetry itself. Amongst other things, however, that process involved the working-through of my own poetics – and I wrote it as a book for poets, and interested readers of all kinds, as much as for the academy; to operate imaginatively, as well as analytically; as writing, as well as scholarship. Now, as I concentrate on my own poems again, I would describe my activity as a poet and a critic – or, if you will, a writer and academic – as a continuum: the modulation of the same desire to speak and to know. Welcome. As well as being a window onto my writing, I envisage this blog as a kind of public notebook, not of an entirely casual kind, but as a rolling discourse on things that matter to me, particularly in poetry and the life of ideas, the ways in which we constitute reality, and the way reality is constituted for us. 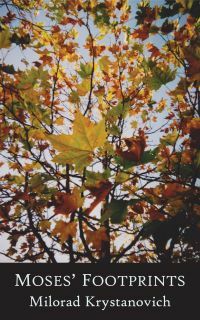 I have kept journals of ideas, first thoughts, observations, and seed-beds for poems for many years – writing I now regard as books in the making – and amongst other things, this blog will, I hope, extend that process into a new sphere of activity. (Though I won’t burden you with unfinished poems.) For all sorts of reasons, the time feels right to open up something of my methods in this way. I thought I’d start with one principle that often recurs in my thinking – and will probably arise frequently, in one form or another, on this blog. It consists in the experience of a paradox, in which the act of finding is one and the same with the act of making, and the act of making is one and the same with the act of finding. To find generally supposes the discovery of something that already exists, independently of you, which you didn’t know about before. To make generally supposes the production of something that didn’t already exist. Put another way, to find is to receive, and to make is to generate – to give of yourself, as it were. Logically, then, to find and to make are quite different things. And yet, in the kind of experience I’m talking about, these occur at one and the same time. For me, this describes the order of experience involved in writing poems. It is one of the things I crave in the act of composition, and explains how poems, to my mind, become a form of knowledge – something found in the act of making, and made in the act of finding. To write is to read, and it follows naturally that the act of reading itself involves finding and making, receiving and generating. A poem is an experiential theatre, in which the mind can think sensuously – i.e., through the imagination: the realising power, which remains open to the unknown, and so becomes the source and conduit of new knowledge. This is no less real, nor less respectable to right minded people, than analytic thinking – in fact, when it comes off, it is more subtle, entire and authoritative, because it works on us both viscerally and intellectually: through what is made present and what is invoked. In this way, poetry is a medium of human exploration, no less than science. And in poetry, the experience of knowing remains not only motile and open-ended, but vitally personal: its truths touch and feel, arrive like a scent. In its fusion of finding and making, poetry says what could not otherwise be said. This is why the best poems disturb, amplify and expand our being. And this, dear reader, is what still – against all the odds – stakes a place for poetry at the centre of cultural life.